Pieter De Crem was born on July 22, 1962, in Aalter in East Flanders. He starts his college years at the “Sint-Jan Berchmans” secondary school in Brussels. Next he obtains his Master’s degree in Romanic philology at the KUL (Katholieke Universiteit Leuven) and in international and European Law at the VUB (Vrije Universiteit Brussel). He is an Alumnus of the Harvard Business School (AMP). During his university studies he acquired, besides a profound knowledge of languages, a deep understanding of the economic and financial systems and in international taxation. Mr De Crem’s native language is Dutch; he thoroughly mastered French, English, German, Spanish, Italian and Portuguese. In addition, he has a basic knowledge of Russian. In 1987, at the end of his studies, he is recruited by the Roularta Media Group. From 1989 to 1992, he is first appointed as person in charge of the relations with Parliament within Prime Minister Wilfried Martens’ private office. Next he becomes advisor within the private office of the Minister of Defence and Vice-Prime Minister Leo Delcroix. After a short period of time in the private sector between 1992 and 1993, he returns to his first passion: Belgian politics. His political career starts in 1989 with his election as Chairman of the youth CVP (Christelijke Volkspartij - Christian People’s Party) section Ghent-Eeklo. In 1994, he stands for the first time as a candidate in the municipal elections in Aalter and is directly elected mayor. He confirms his result at the 2000, 2006 and 2012 elections and again in 2018 with 5056 preferential votes. On his proposal, the towns of Aalter and Knesselare decided in 2017 to merge. The new town of Aalter will become a fact on 1 January 2019, and will count almost 30,000 inhabitants. In 1995, he participates in the federal elections as young mayor running as CVP candidate for the constituency of Ghent-Eeklo. Being elected Member of Parliament, he becomes a member of the parliamentary Commission for Defence. In 1999, he is re-elected and asserts himself as an extremely active member within the opposition. He is fascinated by national politics and after his re-election in the new constituency of East Flanders in 2003; he is appointed chairman of CD&V political group at the House of Representatives. At the 2007 federal elections, Pieter De Crem stands as head of the list for the constituency of East Flanders and is re-elected by nearly 100,000 voters. While continuing his work as chairman of CD&V political group at the Parliament, he is appointed Chairman of the Commission for the Interior at the House of Representatives. On December 21, 2007, he took the oath before His Majesty King Albert II as Minister of Defence in the interim-government. On March 20, 2008, he took the oath as minister in the government Leterme I. On December 30, 2008, he again took the oath as Minister of Defence in the government Van Rompuy I. On November 25, 2009, he took the oath before His Majesty King Albert II as Minister of Defence in the government Leterme II. After the elections of 13 June 2010 and the subsequent government negotiations, he was again assigned the competence of Defence. He was sworn in on December 6, 2011. On March 5, 2013, he was also assigned the competence of Deputy Prime Minister for CD&V. On October 10, 2014, following a mandate that lasted 2,485 days, he leaves Defence. During that period, he fundamentally reformed the Belgian Armed Forces with a focus on increasing its participation in peace operations. Today, Belgian Defence enjoys high esteem by its allies in NATO, the European Union and the United Nations. 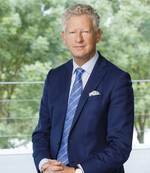 Today, Pieter De Crem is a member of the Government Michel I. On Saturday October 11, 2014, he took the oath as Belgian Secretary of State for Foreign Trade. His policy aims at strengthening the market share of Belgian companies in the global economy, based on the "Business To Government" principle. The main instrument in this regard is the economic missions to destinations worldwide, putting the unique knowhow of Belgian companies in the spotlight or promoting Belgium as a top investment destination. From 2017 until December 2018, Pieter De Crem was also Special Envoy of the Federal Government for the research project MYRRHA of the Belgian Nuclear Research Center. After the reorganization of the Federal Government, Pieter De Crem became Minister for Home Affairs and Security on 9 December 2018. The year 1995 was a very happy year for Pieter De Crem: he started his remarkable political path and married Caroline. Together they have three children: Constantijn, Alicia et Victoria. Pieter De Crem is Dutch native speaker. He speaks and writes fluently in French, English, German, Spanish, Italian and Portuguese. He also has a basic knowledge of Russian.